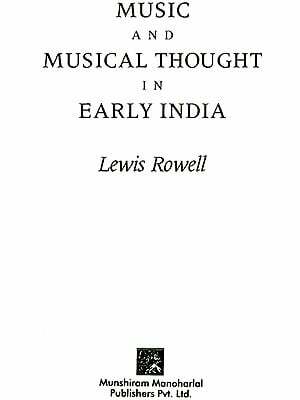 Many scholarly books have been written on different aspects of Indian classical music, but I have seldom come across any work of such magnitude. By its title, it seems to deal with the scales of North and South Indian musical system only. But along with that it enlightens the readers with arohan and avarohan of innumerable traditional, old, obsolete, rediscovered and newly created as well as renamed ragas! The awesome amount of research and hard work Dr. Mukherjee has gone through compiling this work is truly amazing! I do not believe that only the skeletal ascending and descending pattern make a raga! But maybe well-trained musicians with imagination can be benefited by discovering some new and unknown ragas from this book. My heartiest congratulations to Dr. Prithwindra Mukherjee as well as the publishers for this monumental work. During the last quarter of the 19th century, Orientalists  eager to put an end to a certain Europe-centered complacency-seemed to be keen on limiting the objects of its studies to their proper social contexts: objects which were recognized as the literary, religious, artistic and scientific heritage of a culture, too often dependent upon oral transmission. That was precisely the period when, in the United States  in immediate contrast with orality  Thomas Edison was about to make public his invention of the phonograph, and the English philologist and mathematician, A.J.Ellis, in his work, Tonometrical Observations on Some Existing Non-Harmonic Scales (1884) suggested that other nations in the world, especially the 'Arabs' and the 'Hindus', possessed  in all legitimacy  systems of musical scales based upon principles distinct from those known in Europe. As far as 'Hindu' music was concerned, Ellis drew his information from the Indian musicologist and patron Raja Sourindro Mohun Tagore (1840-1914), compiler of the sumptuous, Hindu Music from Various Authors (Calcutta, 1880), author of the Musical Scales of the Hindus (1884) and especially, the Yantra-kosha(1875)  traditional classification and description of musical instruments, which is said to have served as a guidebook to Gevaert and Mahillon as well as the foundation for the system known as Hornabostel-Sachs. In addition to Ellis, Sourindro Mohun Tagore seems to have had regular correspondence with other eminent contemporary thinkers of the world: Friedrich Chrysander, Francois Gevaert, Alfred Hopkins, Victor Mahillon, Garcin de Tassy, G.B. Vecchiotti. R.H.M. Bosanquet's paper, 'On the Hindoo Division of the Octave with Some Additions to be Theory of Systems of Higher Orders' in the symposium of the Raja is said to have impressed Ellis considerably. In spite of this opening  somewhat restrained  Ellis and his successors proceeded, all the same, to examine extra-western traditions with an objective and scientific rigour, probably trying thus to liberate them from the presumption of an idealizing mythocentred subjectivity. At this juncture, it will be worth considering that  on the basis of information supplied by Kumarprasad Mukherjee (Kudrat Rangabirangi, 2nd impression, Calcutta, 1995)  the Indian musician Ghulam Nabi, better known as Shori Mian all over India, proceeded to an experimentation which, in my eyes anticipated in a certain way the methodology of Bela Bartok or constatin Brailoiu in the field of ethnomusicology. Historically, Nabi was the son of Ghulam Rasul Khan, the master of Shakkar Khan and Makkhan Khan, the famous exponents of the genre khayal hailing from Lucknow. While visiting the Punjab districts with a caravan of camel  drivers in 1810, Nabi was the son of Ghulam Rasul Khan, the master of Shakkar Khan and Makkhan Khan, the famous exponents of the genre khayal hailing from Lucknow. While visiting the Punjab districts with a caravan of camel-drivers in 1810, Nabi was impressed by their regional genius of improvising on classical ragas in a very peculiar style. Having spent seven years on learning their vernacular and exploring their traditions, he earned not only the reputation as a scholar who invented the new genre tappa but also as a prolific composer of songs in that style, with an immediate success in the musical circles of Gwalior and Benaras. Grown diffident of certain vestiges of a condescending attitude towards the native otherness, the science vestiges of a condescending attitude towards the native otherness, the science of ethnomusicology  hardly half a century- old and enriched by the experiences of such pioneers in comparative musicology, seems to have owed a great deal to the indispensable tools that modern technology could equip it with: the numeric recordings, CD-Roms, even computers. Hence, being part and parcel of all socio-cultural life, ethnic music becomes increasingly accessible as much for research purpose as for the average music-lover. Scholars consider it to be one of the very components of a society, a witness, and a flash, even a vehicle of all its essential values, concepts and history. Further, leaving behind the chronic prejudice against traditional or folk forms of music as some kind of primitive, uncomely or even inferior by product in contrast with the European classical repertory, people have started discovering  thanks for instance to the foresight to the recently deceased French ethnomusicologist, Alain Danielou, whose series of LPs with the UNESCO label  the sophisticated complexity in the melodic and rhythmic conception, elaboration and improvisation of such forms of music as those coming from the Indian subcontinent. Closely related to the ethno linguist, the ethnomusicologist, too, explores several forms of speech, in addition to tonality and rhythm. Beyond all fragmentary and imperative analyses occurring in the course of a description, the ethnomusicologist seems to get the closest to the core of a global social phenomenon, in order to capture and define the characteristic criteria of a culture-matrix and to restore the specificities inherent in each 'native' tradition. For instance, the team of searchers from the CNRS led by Simha Arom and working mostly in Central Africa for nearly a quarter of a century  keeps on revealing novel and most valuable information at the present stage of ethnomusicological investigation. Brought up in Calcutta, in a family of several professional musicians, then moving to Pondicherry at the age of eleven, I had classes in singing from Sahana Devi (disciple of Rabindranath Tagore) as well as from Dillipkumar Roy (student of Bhatkhande). Along with a normal but multi-dimensional schooling up to university level  comparative literature, Sanskrit with several Indian and European languages, history, Indian and Western philosophy  I took intensive courses I theories of music (North and South Indian, and Western), practicing the dilruba, types of bamboo flutes, Db Piccolo and piano. These lessons from Indian and Western teachers made me familiar with the traditional exercises in mnemonics, which seem to anticipate certain rules of taxonomy utilized in contemporary cognitive sciences. At the same time, I appreciated the affective behavioural climate of a master-to-disciple personal transmission, parallel with the most objective Cartesian methodology. The very core of this transmission consisted of keeping alive the memory of the absolute tonic. I often asked myself: Why does Indian tradition lay such a great emphasis on the master-to-disciple transmission? Down the centuries it has been associated with a quasi-religious sanctity. Just as some guardians of a sacred flame jealously look after its proper upkeep and prevent it from dying, India seems to heed and perpetuate solemnly the initial Sound revealed to the earliest seers and thus transmit the memory of the absolute tonic through a formal initiation to all apprenticeship, apparently spiritual or not. While acknowledging that a raga is a melody-mould or melody-type 'Indian music is a typical example of Modal music, i.e. music based on modes'  Prof. P. Sambamurthy asserts that the individuality of a mode is established by degrees of different frequencies in its structures. And he reminds us that  in addition to and beyond an inter-relationship between the degrees (or notes)  what matters most is the relationship of each degree to the basic tonic note (adhara sadja): 'This tonic note may be actually heard through a drone or even in its absence, a trained ear is able to recognize the raga, bearing in mind the presumed tonic note. Memory thus plays an important part in Indian music. On reaching Paris in 1966 and thanks to a few acquaintances like Gilbert Rouget of the Musee del Homme and Charles Duvelle of Ocora/Radio-France, I came to know about the ethnomusicologists efforts to situate all the traditional musical practices on a large common canvas, with a view to study all the traditional musical practices on a large common canvas, with a view to study them as aseries of total socio-cultural phenomena. Carrying a Uher tape recorder and a few precious tips I returned to Bengal very often after 1972 for fieldwork, observing intently, with an objective eye, most of the vocal forms of popular register. Particularly drawn by the 'wind-struck' minstrels called Bauls, I started undoing an apparently simple mechanism which actually englobed a host of implications, artistic  melodic (both vocal and instrumental), rhythmic, choreographic and semantic, devoted to an esoteric quest which represents a focal point between trends of Tantra in the cults of Siva (the Supreme God), of Sakti (the Cosmic Mother), of the latter's emanations as worshipped by the Buddhists, of the Divine Harmony known to the adepts of Visnu (Lord of Love) and of Sufism from the Middle-East: cryptic, their words are pregnant and vibrant with systematically unuttered significances and sounds. Often deliberately indifferent to theoretical subtleties like the almost legendary 22 srutis supposed to divide the octave, they taught me to listen more carefully to their voices usually turned to the well-tempered diatonic scale of the harmonium, with frequent slidings towards falsetto at the crescendo of their dancing incantations. Beyond the corpus of the Bauls, I discovered their prototypes  an anthology of the Carya songs (8th-10th centuries), the oldest specimens of written Bengali literature  preserved at the Royal Library of Kathmandu, translated into Tibetan and Mongol, inserted in the Tangyur encyclopaedia: a vast treasure house of pre-Islamic sociological data, this anthology is also rich in musicological information pertaining to those centuries. The early harmonium  a portable organ  had been introduced in India about five centuries ago, by the Christian missionaries. Patented in Paris in 1850 in its present form- hand-bellow replacing the pedals  this instrument attained an incredible degree of popularity throughout the Indian subcontinent. This instrument helped me in reorganizing my ideas about the validity of the questions apropos of the refined micro tonality: at the end of this investigation, I will conclude on the srutis, showing how deep are the involvements of this hardly perceptible yet omnipresent reality. This book is about a delicate and complex subject - a comparative study of the structure of ragas (modal scales intimately connected with musical forms) in the North and South India, and the modes of classifying them. The That's (Parent Scales) of Hindustani music and seventy-two Carnatic Melakartas have been carefully dealt with. The author has studied the pitch value of each note and has also tried in a logical format, to ascribe about four thousand plus raga scale, under the fitting mela structure. Beyond the descriptive and analytical aspect of the work, the author could detect in guise of conclusion, certain laws of taxonomy common between those related to raga with reference to the Thats/Melakartas and those currently in vogue in contemporary cognitive research. Dr. Prithwindra Mukherjee (b. 1936), after completing his schooling and higher studies from Sri Aurobindo International Centre of Education in Pondicherry, taught literature and languages there for eleven years. He wrote and successfully defended two these for his doctorate: the first one in 1970, on Sri Aurobindo, in the section 'History of Contemporary Thought' (Ancienne Sorbonne); the second one on the Intellectual Roots of India's pre-Gandhian Freedom Movement (1893-1982)'. His multi-dimensional deduction and practices cover a wide gamut of fields of activity: teaching Indian philosophy and history of civilization at two universities in Paris; collaborating with Jean Filliozat (Professor of Indology at the College de France), preparing a catalogue of Bengali manuscripts preserved at the Bibliotheque Nationale, etc. He went to the United States as a Fulbright scholar and after his return in 1981, joined the department of Ethno-musicology at the National Centre for Scientific Research, Paris. For nearly twenty years, Dr. Prithwindra Mukherjee has worked on a project investigating ragas of Indian music. His works on Musicology have earned him an obvious reputation among specialists of Indian Musicology. Swami Haridasa with Tansen at Vrindavana, Kishangarh Painting.